Sebastian is now 3 months old! 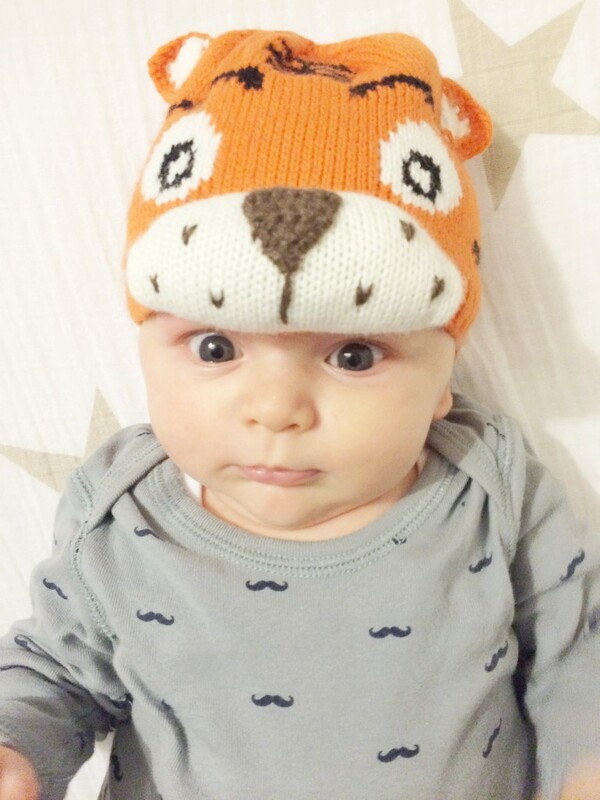 He is hitting some awesome milestones and we are cherishing every second we have with him! 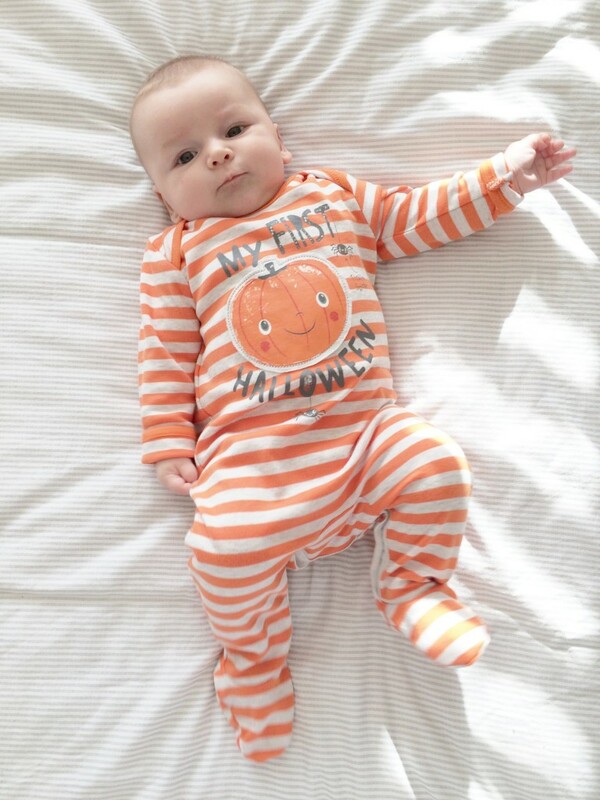 Here is a little photo diary from his 3rd month on this world, October! Lots and lots of smiles! 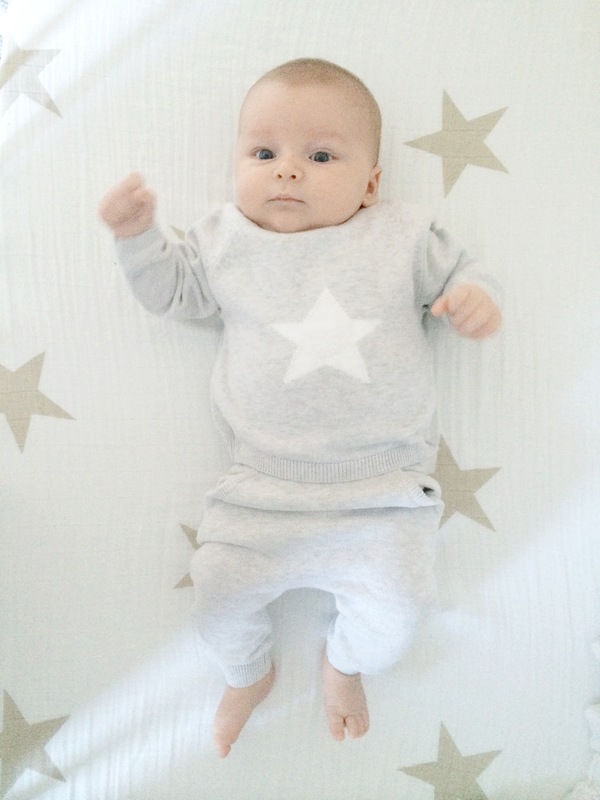 Super cute in my favourite outfit from M&S! 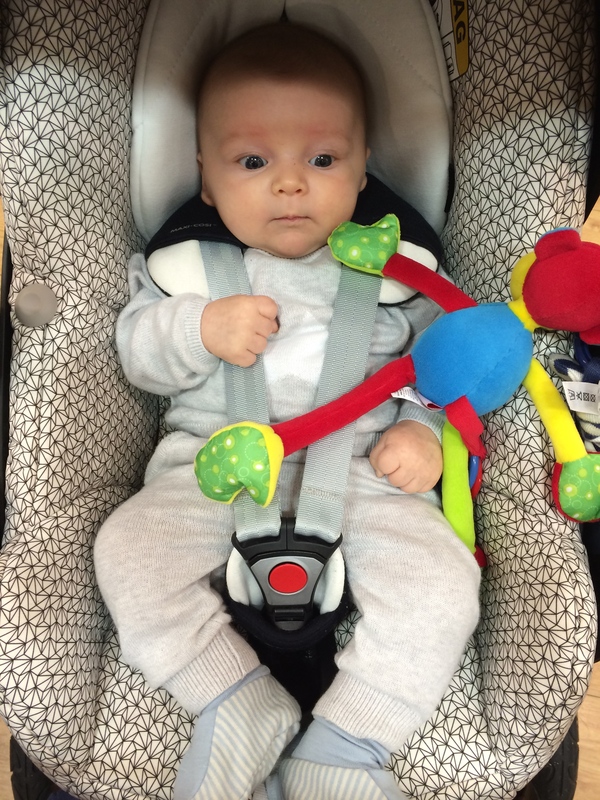 Loving his monkey to play with in his car seat! 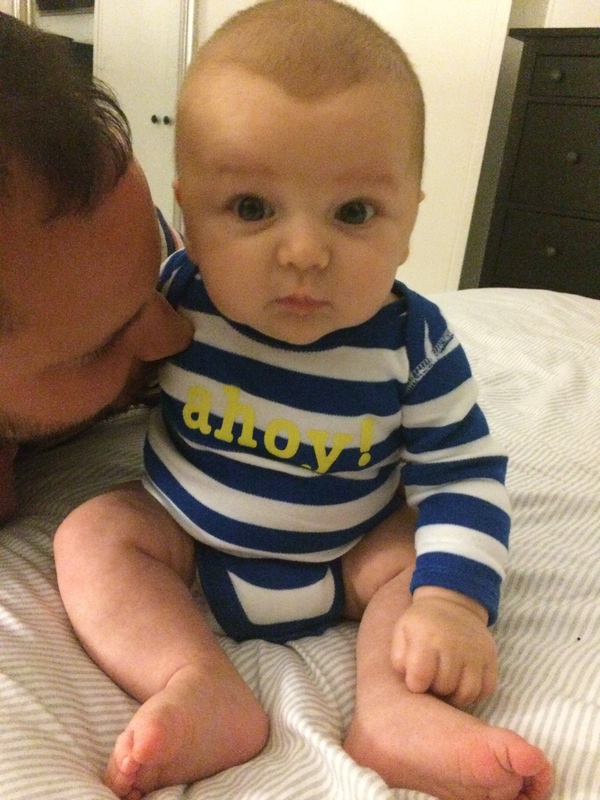 This awesome baby grow from Baby Gap. 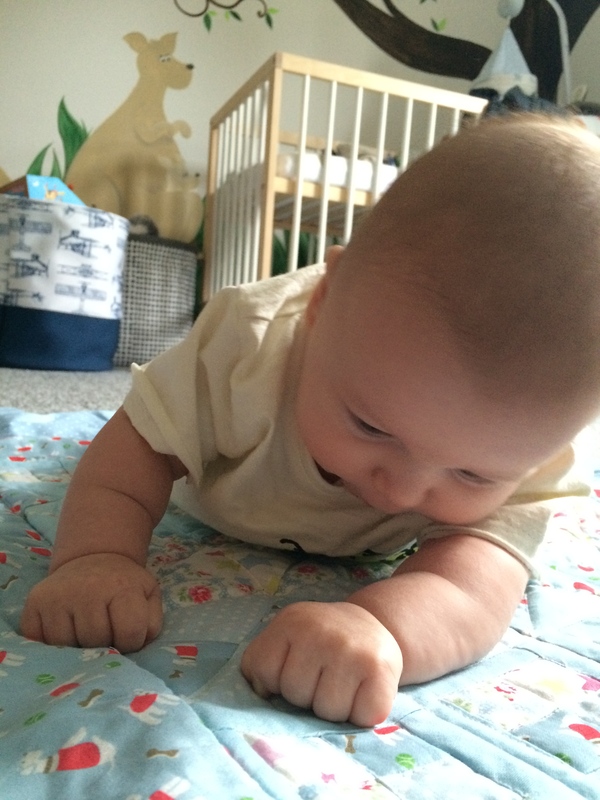 Getting very strong and not loving tummy time too much nowadays! 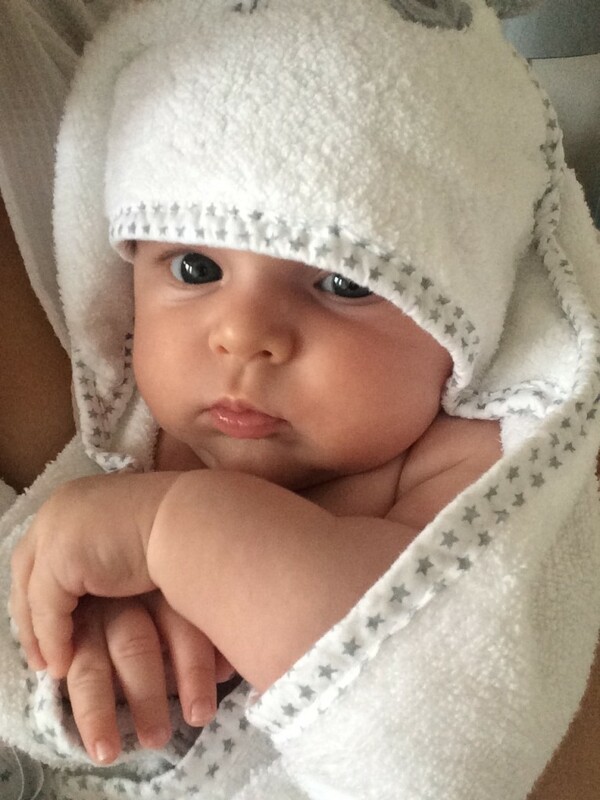 Loving bath time and looking even cuter after. 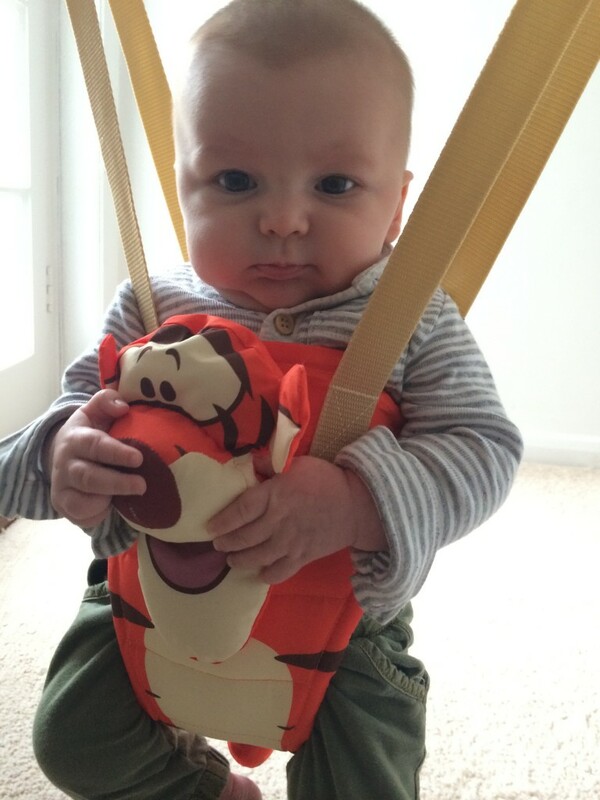 Life in a Tiger Bouncer! I bought this for Seb when he was about 10 weeks old and he just loves it! Play time before bed time. First swimming lesson! 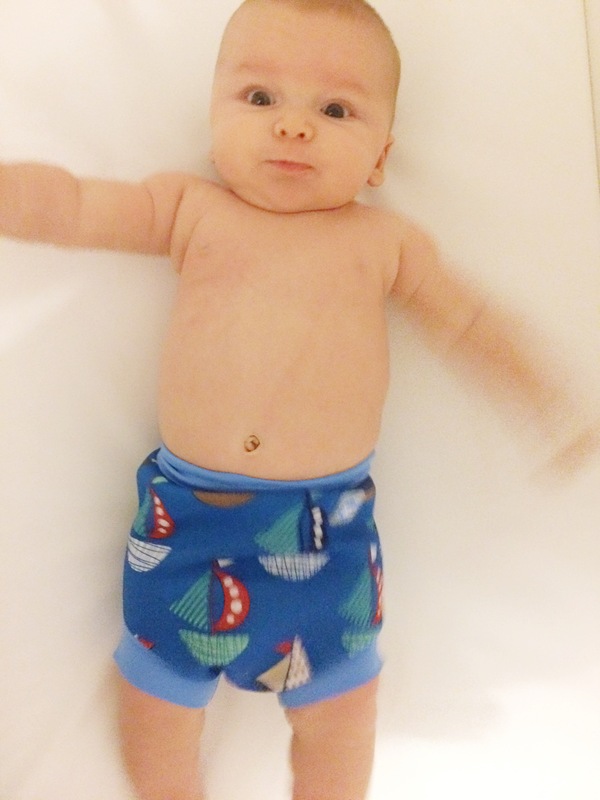 Seb is such a water baby and he absolutely loves swimming! We are using the amazing Veronique at Baby Swim Bournemouth. I’ll hopefully be posting a full review soon! 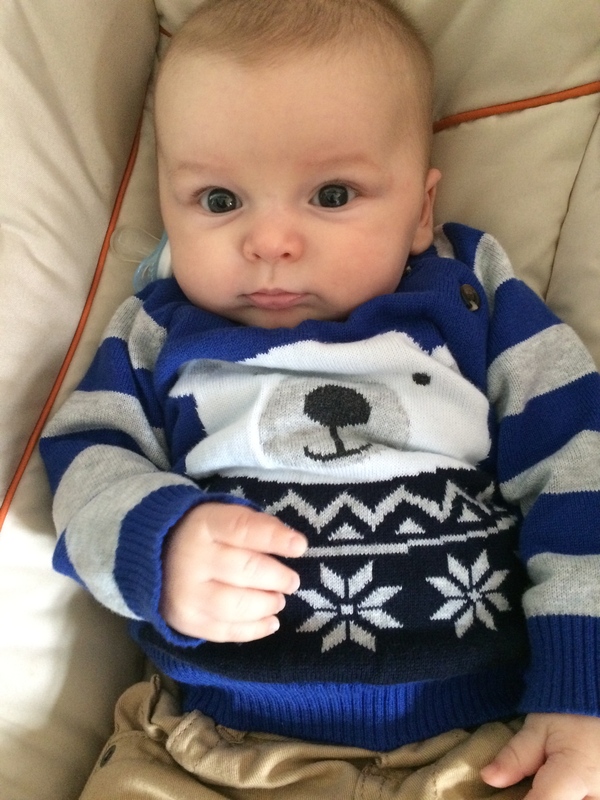 Winter weather means polar bear jumpers (Primark again)! 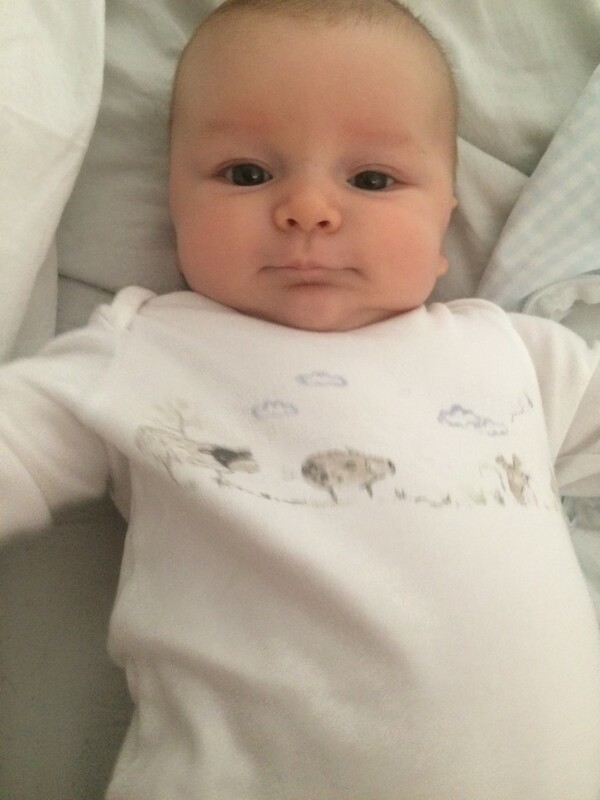 Waking up and napping in Mummy’s bed is Seb’s favourite pastime! 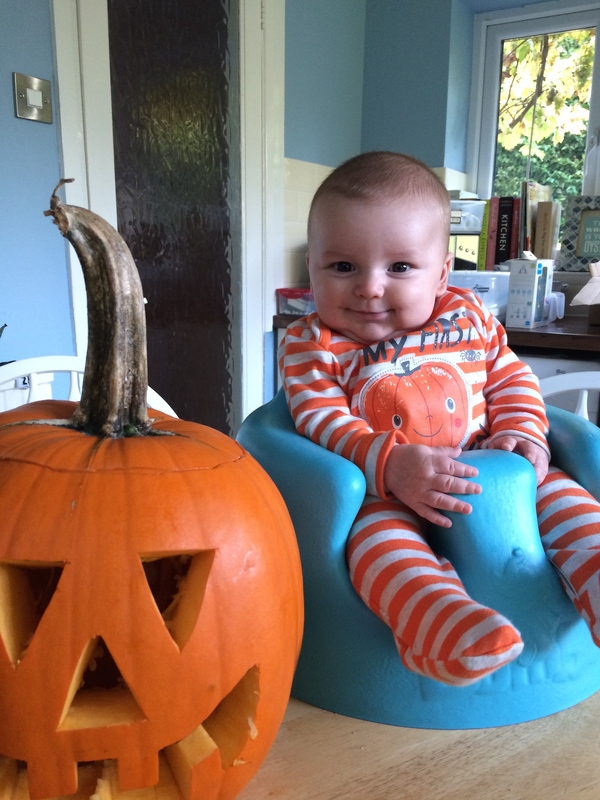 My lame attempt at carving a pumpkin but Seb didn’t seem too bothered! 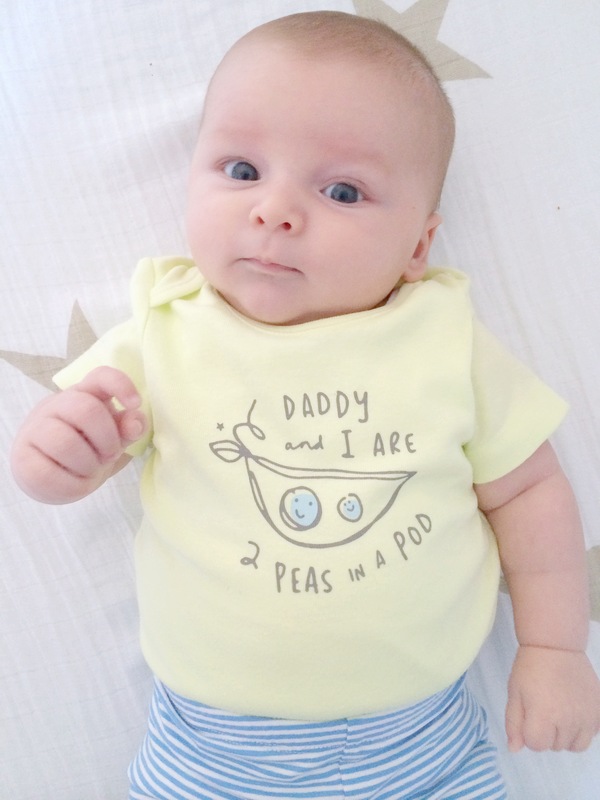 October saw some pretty cool advances with Seb’s development. He now reaches for toys, grabs them, tries to eat them (and everything else in sight). He has also started teething! 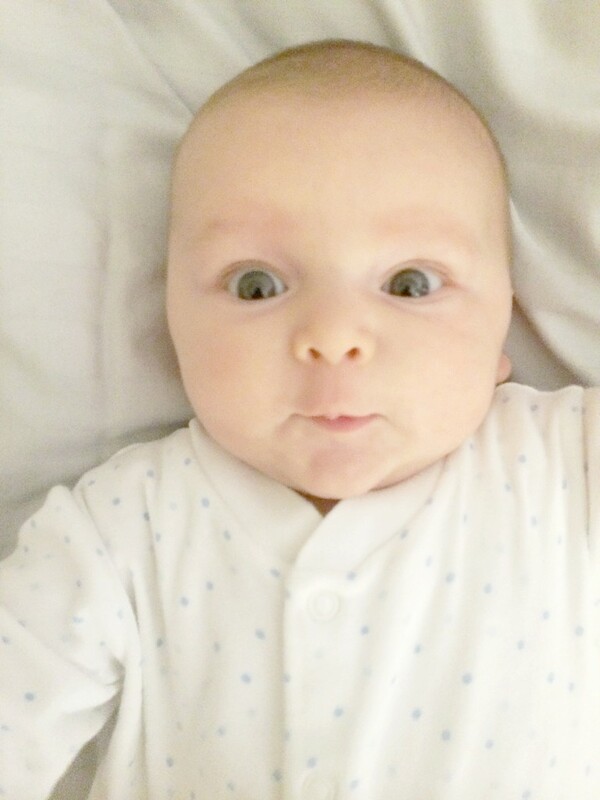 I’m still breastfeeding and he now only wakes a few times in the night for a feed. 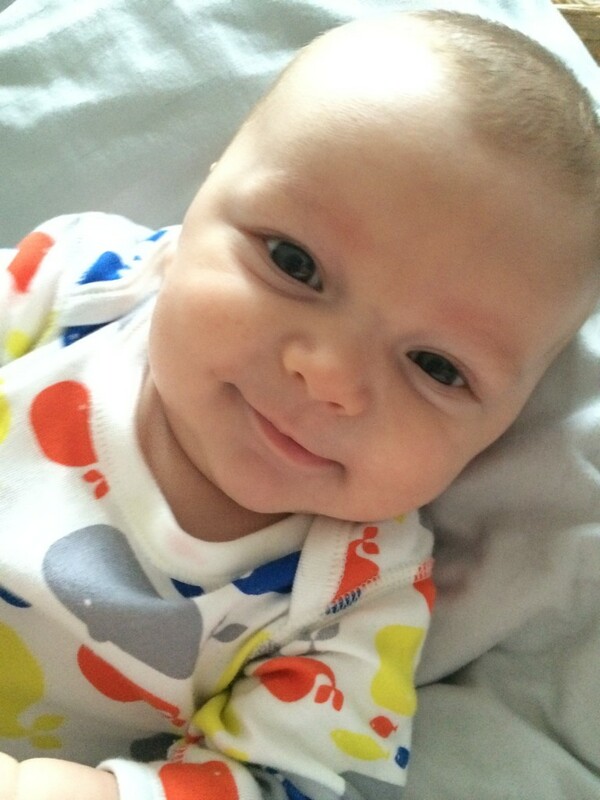 He smiles all the time and in the last few weeks has started giggling. 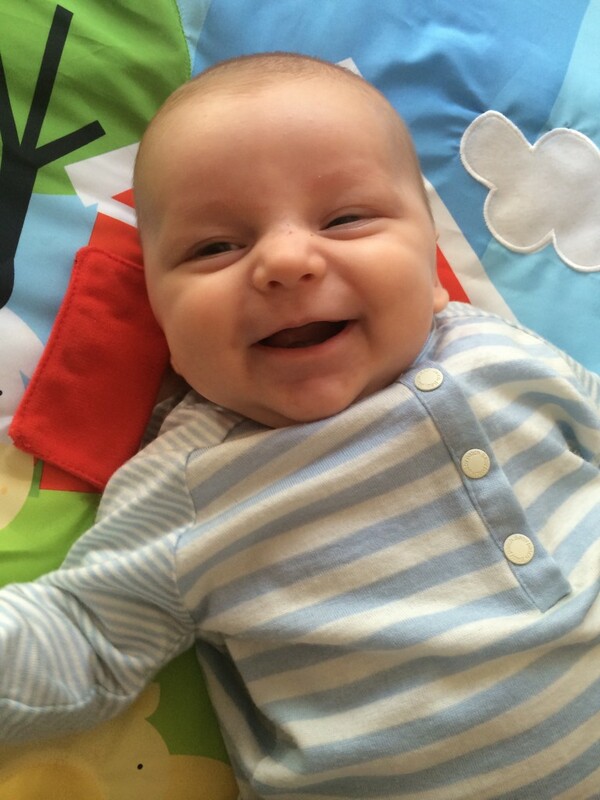 Seb is such a happy baby and I am totally loving being his Mummy!